Free returns policies are often now part and parcel of the service retailers provide to customers, but customer returns can be costly, particularly to smaller businesses and around Christmas, when rates tend to soar. Hallmark Consumer Services explains the actions you can take to help minimise your return rates, and how we can help ensure that your customers are making informed purchase decisions. Retailers receive returns for a number of reasons, with the top ones being because the item does not fit, it is not what the customer expected e.g. the colour, it is damaged, it has been ordered as a gift – and is therefore not expected by the customer, who may refuse delivery – and the address is incorrect. 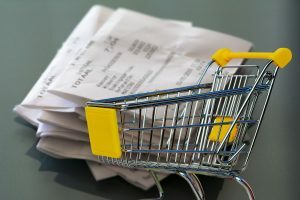 Though returns are a standard part of what retailers do, there are actions that can be taken to prevent the number of returns being made. What can businesses do to minimise returns? Hallmark works closely with our clients to determine how they can streamline their returns processes and conducts client profiling to analyse returns data and identify patterns, reasons for returns and which of your products are high risk. We can also identify what type of customer is returning goods, from serial returners, to customers who over order and send back unwanted items, and loyal customers who rarely return an item. This can help you to ensure that your customers are well-informed when making purchasing decisions, so you can tailor any marketing and communications accordingly. For friendly chat about how Hallmark can work with you to minimise your customer returns, please call us on 01664 485 000 or send us an online enquiry here.